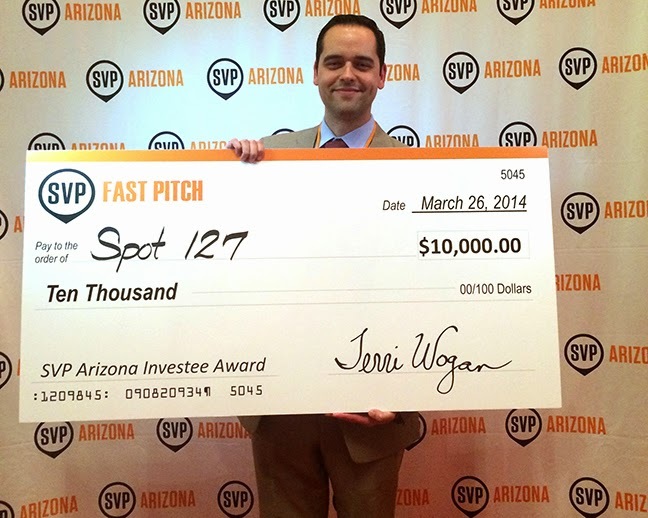 SPOT 127 Executive Director Greg Pereira earned $10,000 in three minutes at Social Venture Partners Fast Pitch 2014. The annual event, hosted by Social Venture Partners Arizona, includes training and mentoring for innovative non-profit administrators and culminates in a high-energy, rapid-fire presentation event in which participants compete for more than $25,000 in grants and prizes. Pereira and 19 other non-profit leaders were handpicked by a selection committee to participate in this year’s event. Eight finalists moved on to the final competition, which took place March 26 at the Tempe Center for the Arts. Pereira’s three-minute presentation won the Investee Award and secured $10,000 a year in funding for up to five years for SPOT 127. 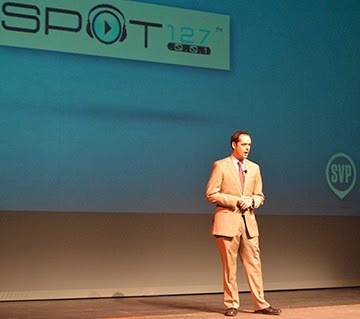 SPOT 127 is a youth media center in Phoenix hosted by KJZZ 91.5 and Rio Salado College. The center empowers local high school students by teaching state of the art digital media skills and by connecting students to mentoring and resources that will help them succeed in future endeavors like college and career. Check out this SVP Arizona interview with Greg to learn more about his Fast Pitch journey.